G’day fellow gamers – recently Patch 8.0 of World of Tanks hit the live servers with its brand new physics engine, a graphical overhaul on some of the original maps, and also the introduction of a second TD (Tank Destroyer) line added to the Russian tech tree with four new TDs all up. The SU-100M1 is equipped with the 100mm D-10S mod. 1944 gun with 131-219mm of armour penetration which deals 173-288 of damage, and sports a health pool of 830, and has a top speed of 50Kmph, with 90mm of frontal armour. The armour for this tank is rather low for its tier, however its strength lies in its low profile and high camouflage rating, and how fast it can react to the ever changing battle with its amazing speed. The upgraded gun 100mm LB-1C can shoot 9.52 rounds a minute with an accuracy of 0.33 at 100m, and an aiming time of only 1.7 seconds, which makes this TD an incredibly accurate borderline semi automatic sniper rifle with an average of 2070dpm (damage per minute). 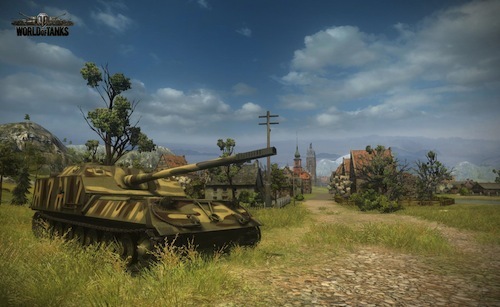 The SU-100M1 tank destroyer offers players the speed of a medium tank, and the firepower and accuracy of a tank destroyer giving yourself more opportunities to move to your favourite bush, or sniper spot quicker and easier than before. The SU-101 comes equipped with the tier VII 100mm D-10S mod. 1944, has 990 hit points and has a top speed of 54kmph with 120mm of frontal armour. 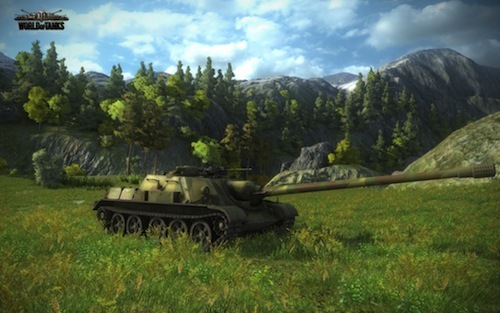 The SU-101 plays as a slightly faster, more heavily armed TD than its predecessor. This vehicle is a counterpart of the Jagdpanther II – it even looks the same. There’s one difference though – the gun on the SU-101 is a TD version of the tier X IS-4’s top gun, and boy is it powerful. Let’s compare the stats on the guns. This powerful 122mm M62-C2 gun is in a small nimble platform that has a nice 120mm of armour angled at 60° which means you can bounce quite a few shots from range while packing quite a punch and retaining good accuracy and a comfortable rate of fire. The SU-122-54 TD is based on the T-54’s medium tank hull with a max speed of 48kmph and 1530 hit points, while sporting a newer upgraded 122mm M62-C2 gun. 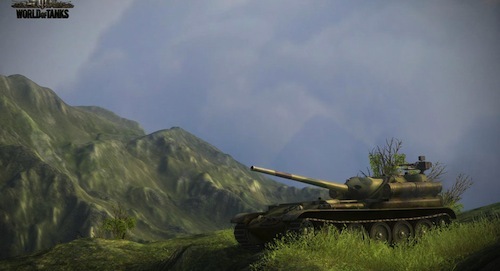 The strength of the SU-122-54 is not only in its powerful new gun though – it is also the smallest of the tier IX tank destroyers, making it harder to hit as well as having the best camouflage and thus making it harder for enemy players to spot you . The SU-122-54 is also a great flanker due to its lower profile allowing it to move around unnoticed far easier than other tier IX tank destroyers. The Object 263 is completely different from its predecessors as it is based on the Russian tier X IS-7 heavy tank. The Object 263 has 250mm of sloped frontal armour, making it one of the hardest tanks in game to penetrate frontally from range. It’s got 1900 hit points with a maximum speed of 55kmph meaning it is also the fastest tier X tank destroyer in the game. But wait it gets even better. The Object 263 comes equipped with the 130mm S-70A that has the best accuracy of 0.32 at 100m out of all the tier X tank destroyers as well as a rate of fire of 5.45, which gives it the title of the fastest shooting tier X tank destroyer and making it capable of dealing over 3300dpm. 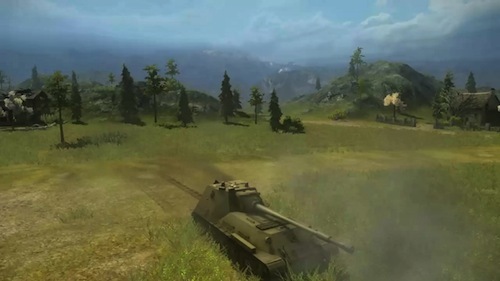 This tank destroyer is a killing machine on crack – not only does it have an accurate gun that has an insane ROF (Rate of Fire), more armour then the most heavily armoured tank in the German tech tree (the Maus), but it also has an incredible speed of 55kph while the Maus can hardly get to 20kph on open ground. Coming from playing the German tech tree for the majority of my World of Tanks career, with the amazing accuracy that comes with being a German tank commander and loving my Jag Tiger ,I have reluctantly started to climb the Russian TD line in order to get a tier 10 version of my beloved JT as the JpzE-100 just doesn’t feel like an upgrade from the JT but more of a downgrade. So over to you, what do you think of these new TDs? Object 263 needs a nerf, bigtime. I haven’t come across the 263 on the battlefield yet but on paper it sounds far too strong.